During our military years, all of us have seen a few too many houses! You have been retired in Colorado for many years and want to put off another move for a long as possible. Before you suffer a broken bone, make some minor fixes to your house which means fewer changes for you down the road. Now is the time to make life easier for the future and maybe save a painful and long recovery from a broken bone. Older adults compose 11% of the population, but account for 23% of accidental deaths. Consider that in this population decreased reaction times, balance, hearing, and smelling abilities are decreasing even before we are aware and willing to admit it. Eyesight, depth-perception and peripheral vision are important to avoid a misstep. Increased use of prescriptions is more likely to cause dizziness and forgetfulness. Last month, I discussed driving adjustments for older adults. 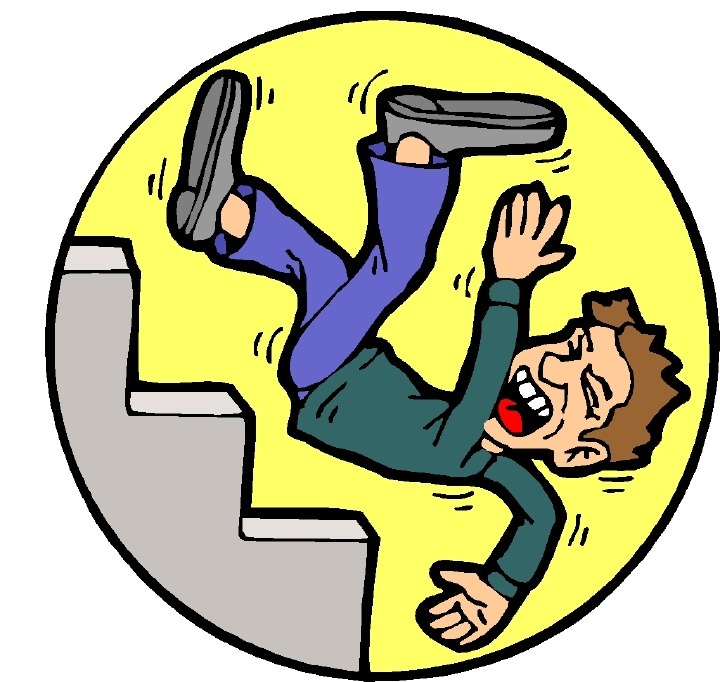 This month is an article about accidents in the home, particularly falls. In the next months, I will give information about fire hazards and hazardous products commonly in the home. Minor improvements will be mentioned first, followed by more extensive remodeling projects. Relatively easy and inexpensive fixes will be listed for the bathroom first, because that is the room where most accidents occur. · Install raised toilet seats. · Grab bars by the toilet, in the shower and tub areas. · Mixer valve to avoid sudden hot and cold water. · Do not store clutter on the stairs. · Mark the edges of the highest and lowest step with bright-colored tape. · Use non-slide mats, no decorative rugs that slip. · Remove extension cords from traffic areas. · Place stools where you change shoes. Do not wear wet shoes into the house. · Wear good shoes with no loose shoe strings. · If you must use a ladder or step stool, make sure it is very sturdy. If you feel you must do these chores, do not hurry, be certain you are not tending to light-headedness due to illness, medicines, OR ALCOHOL. If your spouse says, “Don’t do it,” listen. · Install new fire and carbon monoxide alarms with a ten-year life span. Then you do not have to think about getting on a ladder every time a fire alarm beeps. Have an electrician install them now, and give it no more thought for ten years! · Have your home security in top shape. Many possibilities to consider as technology improves. Video doorbells allow you to answer the door with your phone, whether you are home or not. Motion detector lights outside, both for your safety at night and to discourage intruders. Tell your regular visitors to call you before they come. · Have cellphones that you know how to operate for emergencies. Avoid having to rush to a telephone or the door when you can fall in the rush. Set up a MedAlert system. · Replace round door knobs with lever-type handles. Arthritic hands have a hard time with round knobs. Service dogs can open lever knobs, of course your cat can too! · Non-slip floor surfaces, especially where feet may be wet as in bathrooms and by outside doors. · Ramp at an exterior door. · Lifts at the stairs. Remodel to build a downstairs bedroom. · Make improvements that allow wheelchair or scooter access. Widen the interior doors to 36 inches wide. · Electric stoves instead of natural gas. This will remedy natural gas flooding and open flames. · Have bathroom doors swing to outside the room instead of inside. If a person falls inside, they often block the bathroom door from opening, which makes it difficult for someone to enter the bathroom. Keep in Mind: Any fall is a predictor of future falls. Two-thirds of folks who have fallen, will fall again within 6 months. The older the person, the more severe the falls and more likely to experience a broken bone. 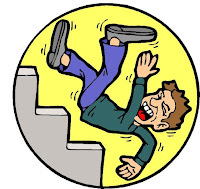 Many of those who fall will never return to their former functionality, and many will die from complications from falls. Elders are often reluctant to admit to a fall for fear their activities will be curtailed. Modify your surroundings before something happens and have another pair of eyes look at your environment for hazards you have long grown used to and do not notice.